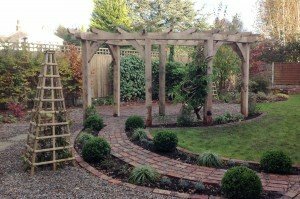 Our latest Pergola was designed by Sharon Hockenhull. Sharon Hockenhull is a double RHS award winning garden designer based in the North West. 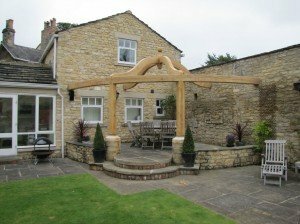 This beautiful oak pergola could provide the finishing touch to your garden. 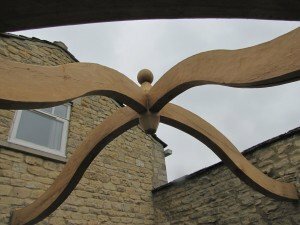 The close up view shows the natural curves selected specifically for this customer.